Detached 2 car garage offers storage, so who needs a basement. MLS#21622766. CENTURY 21 Scheetz. 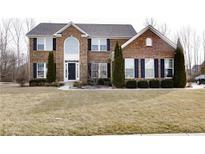 Willow Glen - 3 car side load garage.Zionsville schools. Excellent condition MLS#21623656. CENTURY 21 Scheetz. Preserve At Spring Knoll - Fabulous big backyard made for relaxation with paver patio, pergola, play set. MLS#21623353. F.C. Tucker Company. Cobblestone Lakes Of Zionsville - Professional landscaping, 3-car garage. Must see. MLS#21618284. CENTURY 21 Scheetz. Buttondown Farm - Perfect alternative to ranch home living in one of Zionsville's most desirable communities. MLS#21622854. F.C. Tucker Company. Eagles Nest - Unfinished Basement Has 9’ Walls And Is Plumbed For A Bathroom, Just Awaiting Your Finishing Touches. Don’t Miss This Rare Find! MLS#21622654. Keller Williams Indy Metro NE. Fox Run - Don'T Miss This Rare Find! MLS#21622624. Keller Williams Indy Metro NE. Royal Run - Friendly neighborhood with pool and clubhouse. MLS#21617872. F.C. Tucker Company. Buttondown Farm - Everything on your wish list and more! MLS#21622322. RE/MAX Ability Plus. Remodeled 4-stall horse barn on 2 acres of pasture w/sand riding arena & 2 dry lot areas. 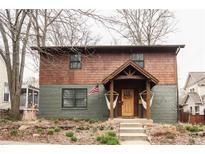 MLS#21619400. CENTURY 21 Scheetz. Perfect location in Zionsville to walk to school and the Village! MLS#21619794. Keller Williams Zionsville. Seldom does an opportunity such as this become available. Don't miss this! MLS#21618385. F.C. Tucker Company. Cobblestone Lakes Of Zionsville - See today. This will not disappoint! MLS#21619486. F.C. Tucker Company. Village Of Zionsville - driveway will be resurfaced ASAP when the weather allows! MLS#21619265. Carpenter, REALTORS®. Nature meets luxury in the outdoor living space featuring gas fireplace and deck and patio with retractable electric awnings. MLS#21617009. Carpenter, REALTORS®. The Willows - Stone wrap sets this cottage like home apart-3 car garage, open, high end finishes throughout. MLS#21608086. Encore Sotheby's International.